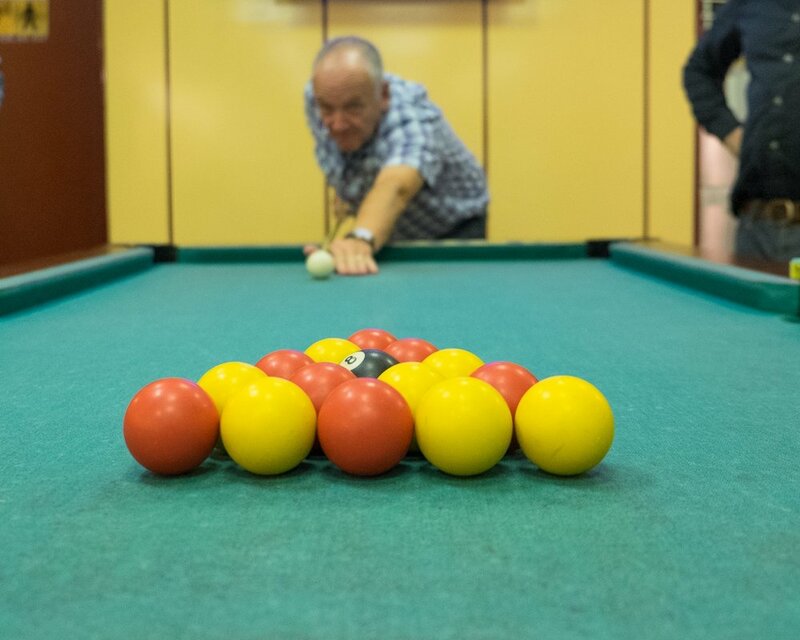 Shed Space will be having a night of Games, Food and Drink all for just £8.00, on Fri 2nd Dec at Camara's Cafe on the Broadway (Near WHSmith's), the pool table will cost a bit extra though! The Butlers and the Wrens are looking forward to Church on the morning of Sunday 27th November and hope you can all join us as we will be dedicating Joseph, Esther, Percival and Sidney to our Lord. We would like the church to stand with us and support us in bringing them up. We believe that God speaks today and would encourage you to seek prophetic words for our children, please write these down whether or not you get to share them verbally, as this will help us to remember. There will be lunch provided after the meeting at the school, to which all are invited and welcome to stay for. If you could let us know if you will be able to join us, that would be helpful for catering purposes. In September our church was part of the week of outreach across our South Region of Churches, to declare to the people of our town’s that God loves them and has a plan for their life and to share the gospel with them. In Didcot, we prayed with 60 or more people and around 35-40 (slightly vague due to follow up forms not being filled in correctly!) people responded to hearing the gospel and asked Jesus into their lives. Since then we have followed up 32 people and met with three, who have all asked to be seen again or shown an interest in coming to church. Come and bring your friends for an evening of creativity and festivity! Join us on Friday 25th November at "No Two Things" on the Broadway in Didcot, for 7.30pm. There will be a variety of Christmas craft activities to choose from, ranging from £5-10. More information will be found on the REFRESH Facebook page shortly, regarding the Christmas crafts available and the cost. There will be a nominal charge of £2 each, for seasonal beverages and nibbles. The CAP MC is meeting at Rob and Ruth Bennie’s, 14 Edwin Road, Didcot, OX11 6LE. All are welcome to come along, get a feel for how we can be a community together help people in debt. Reshaping to Reach out - What has been happening over the last year? Missional Communities, Coffee and Kids on Sunday, the Turning outreach - listen to all that has been happening in the church over the last year and an update on Missional Communities. Heaven is our destiny. Yet, heaven is breaking out now. It is our destiny to see heaven break out here, on earth, at home, at work, at the sports club and even at the dentists day by day. And it is in us and through us that this happens. Tom is currently planting a church in Fresno, California, having led a church in the middle of America for a number of years. He is part of Coast to Coast a US church network which is part of Salt and Light. He is received in the UK and Scandinavia by a number of churches. He is a church builder who carries a strong prophetic gift. We are very excited to welcome Tom to our region, and are trusting that God will speak to each of us through him. We are excited to invite you along to our LIGHT PARTY on Sunday 30th October 14.45-16.30 at St Birinus School Hall. Please join us for games, crafts, food and fun. Dressing up is optional, however dress should be bright and sparkly. Activities aim to cover children age 0-12 yrs. We have our invite up on C&K Facebook page and paper invites available this Sunday. This is an event we would LOVE for you to be able to invite friends along to. If you can RSVP on this or email didcotadmin@occ.org.uk as it would be really helpful for us to know how many to cater for. This year we have ordered 50 'Go boxes' (basically, a flat pack box ready to fill) which makes sending a shoe box to a child who otherwise would not have anything this Christmas easier than ever! Please ask Kate or Ian Woods for a box. Halloween has become a major issue in the Church and in society, with a huge range of views. Many Christians and churches have a feeling that there is something inherently wrong about the celebration, but are unsure why it is not healthy, wholesome or positive. Christians do not want to be seen as boring killjoys, but we do want to be clear about what we see as dangerous or unwholesome. Here are some reasons why Christians think Halloween should be ‘reclaimed’. The team have been working hard on our winter Outreach event – the Live Nativity in the Orchard Centre. Therefore we are seeking budding actors and actresses to come along and audition for parts in the play at our meeting after church on Sunday 16th Oct. Please bring a pack lunch with you on the day. The actual Nativity will be taking place on Sat 17th Dec at 3.45-4.30pm. Was it only one nights and two days? I feel as if we packed in so much. We loved doing all the crazy activities with you whether it was water balloon catapult, creating ice-cream palaces, tie-dying, marshmallow camp fire or finding the keys to the treasure chest. We also found it really special to have times to contemplate God in the prayer space and to worship Him in singing. But best of all we learnt about The King, about The King’s Helper and how to become The King’s friends. Thank you for coming and I’ve added some photos for you to show your mums and dads. Thank you for sending your children on Kids Camp. We were richly blessed to have them and we had such a fantastic adventure with them. It is such a special place up there on the hill overlooking Oxfordshire. From the moment we opened the camp with an official march complete with vuvuzelas to the final prayer as we thanked God for super weekend, He was present and I hope your children grow and are strengthened in their faith. I loved seeing them run wild and free in the woods, creating games and dens and I also love seeing them in little groups on Sunday morning having their quiet times and sharing powerful insights with their leaders. God speaks to children and they listen often more quickly and clearly than us. We said thank you at the Queen’s Tea Celebration but I want to reiterate how privileged we were to have Annetta, Ruth, Nick, Toni and Kevin to love and serve the children. They worked their socks off and we certainly had a formidable team. May the rest of your summer be good.